A Field Guide to the Birds of Sri Lanka is the first fully comprehensive, modern field guide to this ornithologically fascinating country. All of Sri Lanka's official avian species are described in the text and depicted in a collection of stunning colour plates painted by Tim Worfolk, one of Britain's leading bird artists. The text, accessible to experienced ornithologists and beginners alike, highlights the important identification features such as plumage variations, size, calls and songs, range, distribution, and status for every species. The plates illustrate the various plumage variations for each bird, and show the birds perched and also in flight, where relevant to their identification. An introduction to the guide describes briefly some of the best sites for watching Sri Lanka's abundant avifauna, and provides useful contact addresses for the prospective traveller. 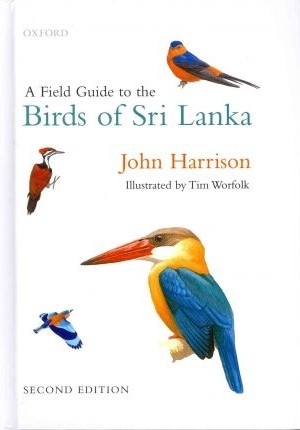 This will be an essential purchase for all birdwatchers travelling to the region; the beautiful plates and clearly-written text will also make it a must-have for anyone who loves birds, and Sri Lankan birds in particular.